Innovation for greater profitability – thanks to its exceptionally low resistance, the extruded grid enables bulk materials to flow into the corners of the flexible intermediate bulk container (FIBC) unimpeded, which can increase fill quantity by up to 15% with consistent volumes. It also improves container stability and reduces the height of the material cone, which facilitates stacking. It can be used with CP3, CP1 and Euro pallet dimensions. Special sizes are also available. 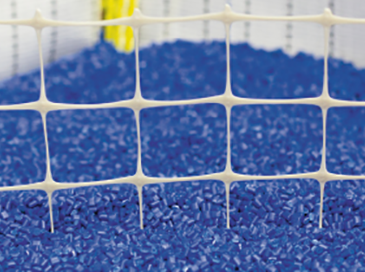 The grid is free of fibres and lint, resistant to abrasion and food safe. Optimal protection for sensitive, perishable goods – the newly developed plastic-based EMPAC barrier foil has permanent antistatic properties and offers excellent sealing ability. 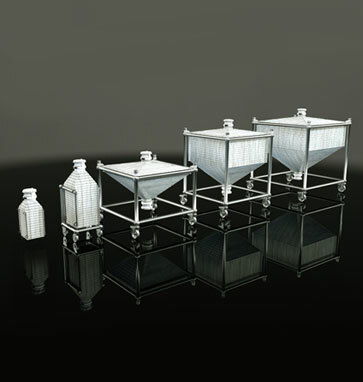 It serves as a stable barrier for oxygen and vapor and protects products, such as powdered milk, from spoilage. Production under clean-room conditions is possible, as well as production as form liners with defined filler and outlet connections. The foil can also include filters for the exchange of oxygen and nitrogen gas. THE PERFECT FILTER FOR YOUR DAIRY PRODUCTS. 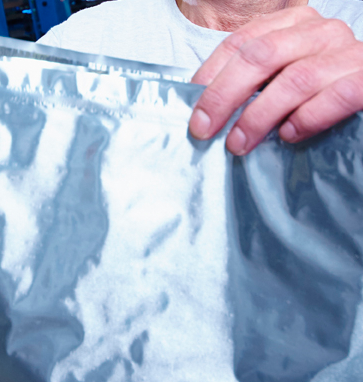 Big bags for food products need to be adapted for longer storage times and routes and should not affect the food products contained inside. The primary packaging therefore undergoes organoleptic, microbiological and other checks to prevent any damage to the contents. A filter is also heat sealed in a special barrier foil. 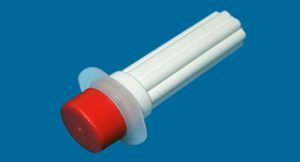 This can be used to remove any oxygen presence after filling and layer the product with an inert gas, such as nitrogen. Handling of smaller quantities of goods in need of protection is now enabled with the Acube. The double flap valve on the packaging enables contamination-free docking and undocking with the filling and emptying stations. Stainless-steel packaging is now used, which then needs to be cleaned and examined as part of a complex, time-consuming process. The new packaging represents a practical single-use system which can be used throughout the entire production chain.